Vitamin B2, also known as Riboflavin, facilitates red blood cell formation, cell respiration and growth. Riboflavin helps energy production by metabolising fats, sugars and protein. Riboflavin is important for good muscle tone and is excellent for maintaining good vision, skin, hair and nails. HealthAid provides a unique B2 formulation that is readily absorbed for maximum utilisation and benefit to the body. 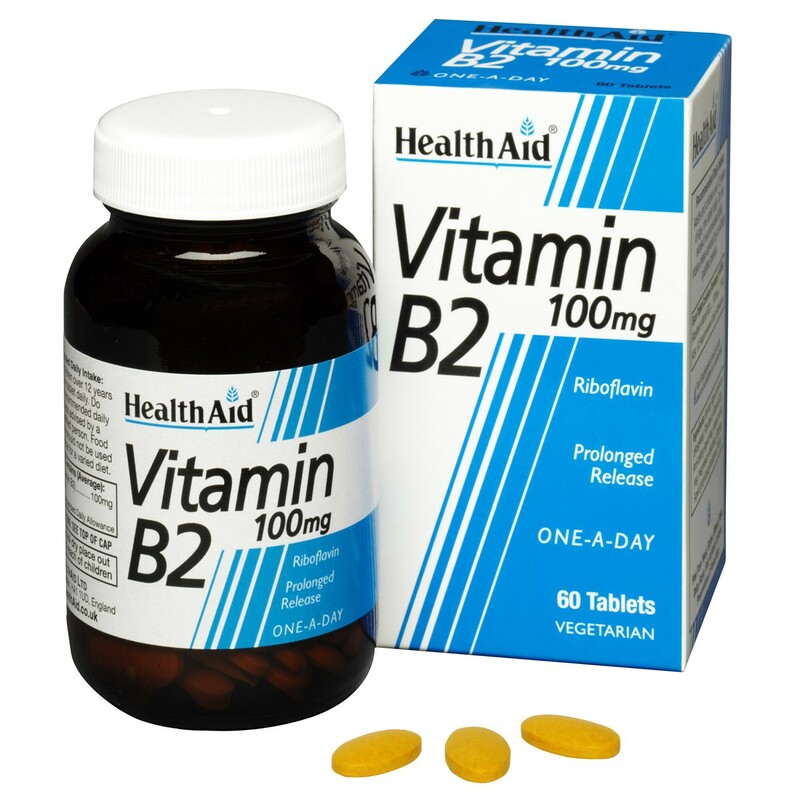 Thank you for your interest in HealthAid Vitamin B2 (Riboflavin) 100mg - Prolonged Release. Enter your email and we'll contact you as soon as it's available again.